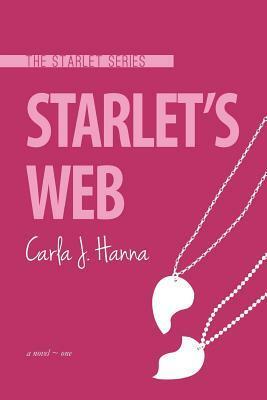 Discover the Starlet Series for new adult & college readers and uncover the life of a talented actress caught in Hollywood's web of lies. I'm actress Liana Marie Michael. I won an Oscar at 17 but whatever. Celebrity is what it is: marketing a product. I'm part of a tight-knit group. I keep to myself and don't complain about my life. I've been happy until lately. I really don't know what to say. I was really, really not impressed. I get that this book was trying to capture the exploitation of celebrities and their struggles, but really I didn't like it. Exhibit A: The main character. She was THE problem. And there were so many problems with her. I thought she was ungrateful and arrogant. She drove me up the wall. She really could not seem to be able to look after herself in the slightest. And she didn't exactly try and prevent half the awful situations she got herself into. And quite frankly, I was disgusted with the romances. 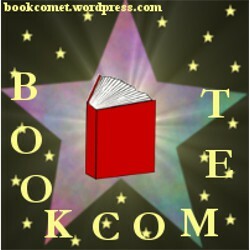 It felt like every page she was kissing a guy and whining about not feeling 'turned on'. Yes, you read that right. The only half decent romantic interest was broken up with on the first page. Don't even get me started on Manuel. EURGH. Ick. He did not come off as a great book boyfriend. Not only was he possessive, but also very, very rude. He didn't even support Lia Marie when she needed it. Yeah, I get that it's nice and all that he liked the 'real her' without makeup on and things, but she's an actress. Sometimes she's going to wear makeup. He shouldn't tell her that he hates it. He should support her acting career and not act like a total brat. In fact their whole relationship was terrible. They'd be fighting and then all of a sudden they'd decide that they are meant to be together. Then after two minutes of being together then Manuel would throw a hissy fit. That happened a lot and was very, very frustrating. Back to Liana Marie. She spoke nothing really like a teenager. I would know. I am one. She spoke like she was reciting 'assertive' arguments that adults tell kids to say. Such as: "You're hurting my feelings, Manuel." She seemed to swap in between that and a slightly better persona. However, I did like some things. I liked the way that this book delved into the world of business contracts and child working laws. I thought that was really interesting. I started to enjoy the book a lot more when I got to the 50% mark. I was especially glued to the screen at around the 70% mark for reasons I shall not go into so I don't spoil it. But to be honest I wasn't really too keen on the twist anyway. It felt too...convenient? That's not really the right word but I can't think of any others right now. I liked the angle that the author took. I think she chose well. And she was sure to include lots of diversity in terms of races, etc. I know this review is pretty negative but just because it wasn't for me doesn't mean that you wouldn't love it. I absolutely hate writing one star reviews. Please don't forget that there are good points to this book as well. Mrs. Hanna lived in Santa Monica, CA where her children played with the children of celebrities. She mingled with plenty of nannies and a few good celebrity moms. She received her Master’s in English/Communications from Colorado State University and lives near Denver, CO with her husband and two children.